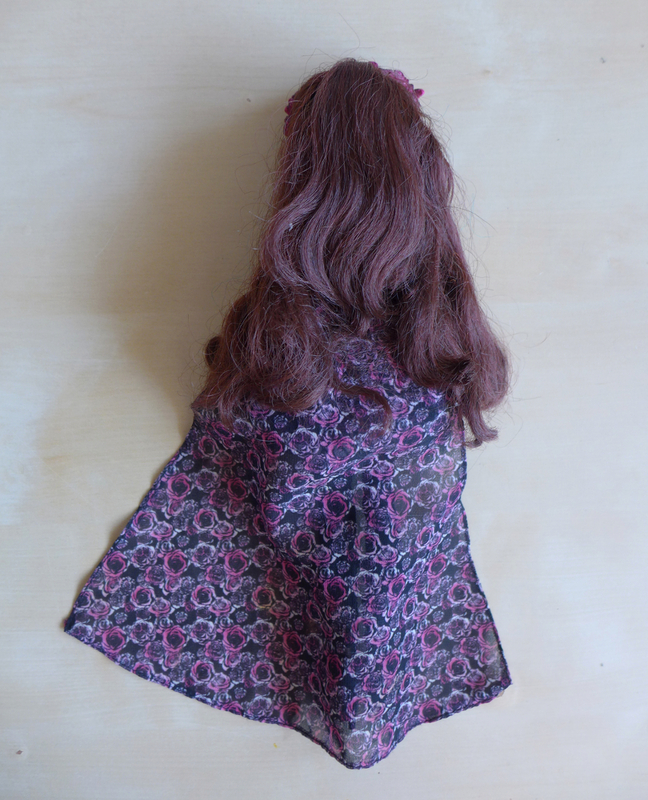 In this post I will describe how I fixed my second-hand Animators’ Merida’s hair. I will say up front that the process could probably be improved upon, but since the results were satisfactory I think it’s worth sharing. I apologise – the photos in this section aren’t exactly art. Just dolls in poorly lit bathtubs and such. First, I washed the doll’s hair. I don’t think the kind of shampoo matters too much. Just to be safe I went with a simple one. I did not bother to brush her hair beforehand – it’s easier later on. Next, I applied hair conditioner. I can’t tell if it changes anything in the long run, but it nonetheless serves a role – it makes the hair more slippery and easier to brush. I left the conditioner in for about 15 minutes. The one I used was a glycerin-based one, but again, I don’t think it matters a lot. 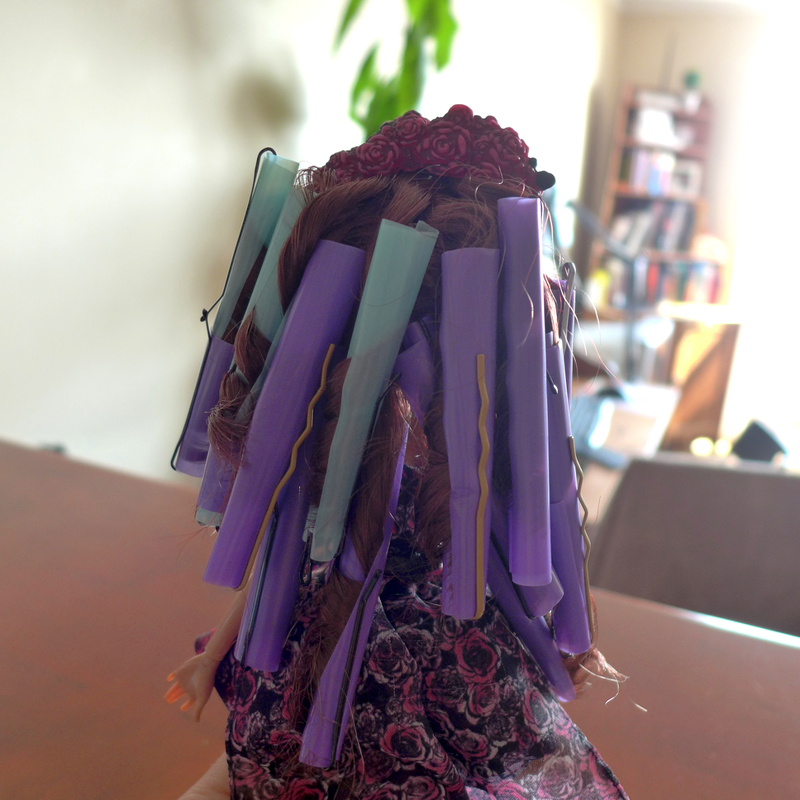 Still leaving the conditioner in, I laid the doll on a flat surface and started to brush out the tangles. This way of doing it is a bit messy but I believe it makes brushing easier. I used a Barbie brush and it worked OK. It’s always advisable to start at the very ends and work up your way towards the roots – otherwise you the mess bunches up in one place in a gross, hairy Gordian knot. 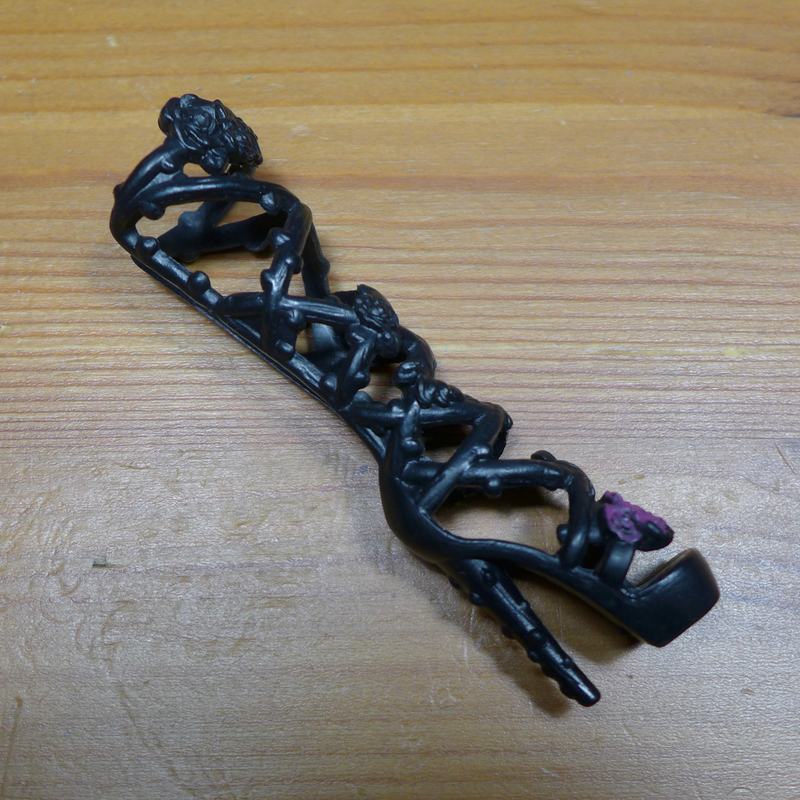 In this case the tangle was pretty bad so I also sectioned the hair into very small strands – I worked on a single lock at a time. It helps to work consistently from one side to the other keeping track of which strands have already been brushed. 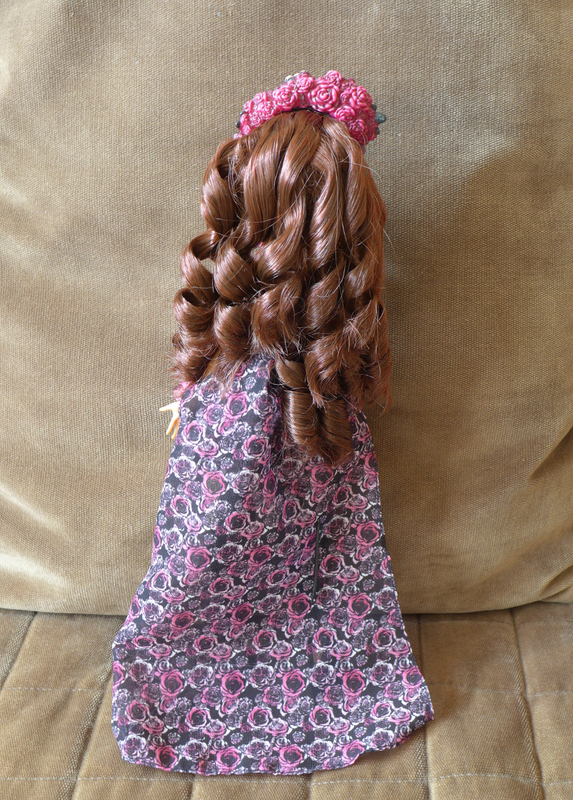 It’s best to hold the strand you’re brushing firmly with the other hand so that the pulling won’t rip the hair out of the doll’s head. At this point the hair didn’t look very neat, but I swear that the brush was passing through it smoothly 🙂 I am impressed with how well the curls endured all the water, product and harsh brushing. 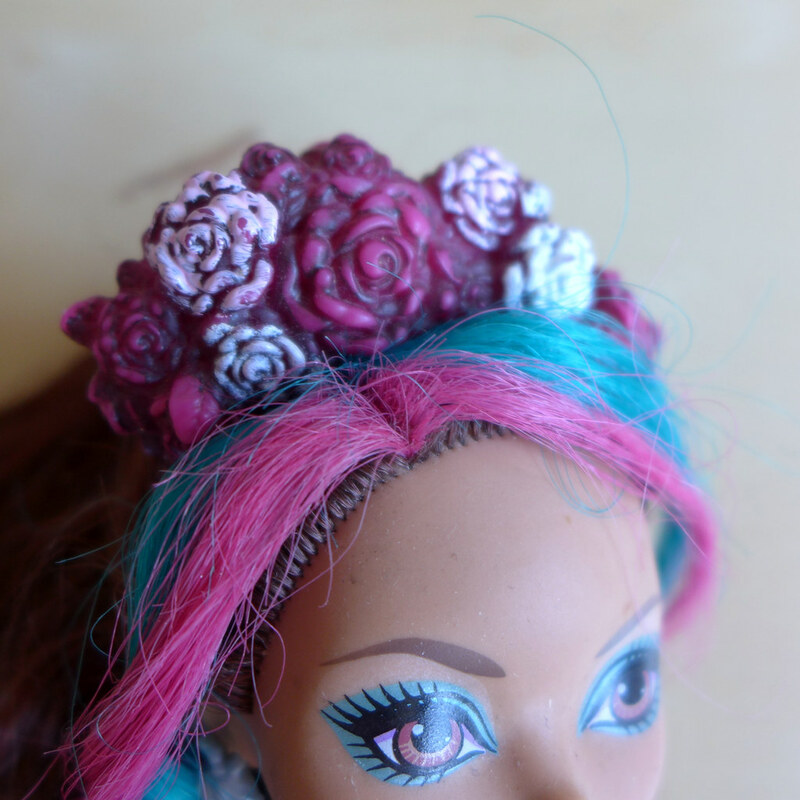 It would normally be reassuring to know that the original hairstyles on the Animators’ dolls are made to last, but in this case it was a problem. I wanted the hair straight so that the old curls wouldn’t interfere with the new ones. Dipping in hot water makes doll hair smoother and straightens it, and this was my next step. I boiled the water in an electric kettle, poured it into a bowl and dipped the doll’s hair in it for about 10 seconds. At first I waited for the water to cool slightly, but seeing that it’s not working as well as I expected I repeated the process a few more times, now dipping the hair right after the water boiled. I can definitely say that my doll did not suffer from such treatment in any way, but excessive heat may be dangerous to dolls, so try at your own risk. 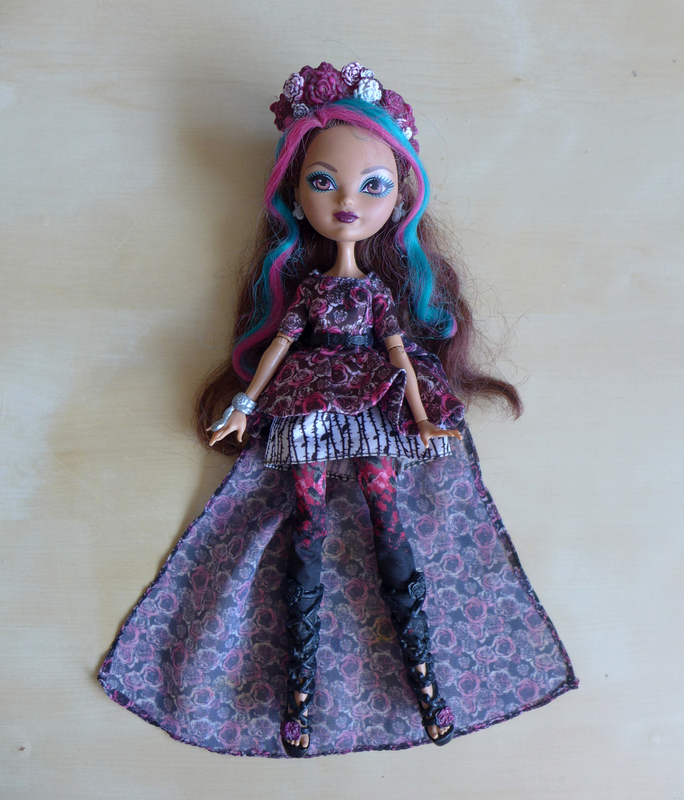 In fact, some dolls should not be allowed to even get wet at all, such as, reportedly, American Girl dolls. Sorry, but this is the best photo I have of ‘dipping in hot water’ – handling a bowl of hot water, and a doll, and a camera with only two hands proved too fiddly. But unlike in this photo, I did dip the hair all the way in. At this point, if I had had a flat iron, I would have used it, despite it being plain risky on plastic hair. Since I do not own any such contraptions, I took an experimental approach. I wrapped the hair tightly in cloth and dipped again. My reasoning was that the cloth would press the curls flat, and the hot water would make them stay that way. It wasn’t a full success, but still an improvement. I decided it probably wasn’t getting much better from then on, rinsed the hair thoroughly to make sure all the conditioner was all gone and dried Merida with a towel. I was surprised how long her hair is when it’s straight. It looks kind of nice as it is, if not very Merida-like. Lady Godiva comes to my mind. 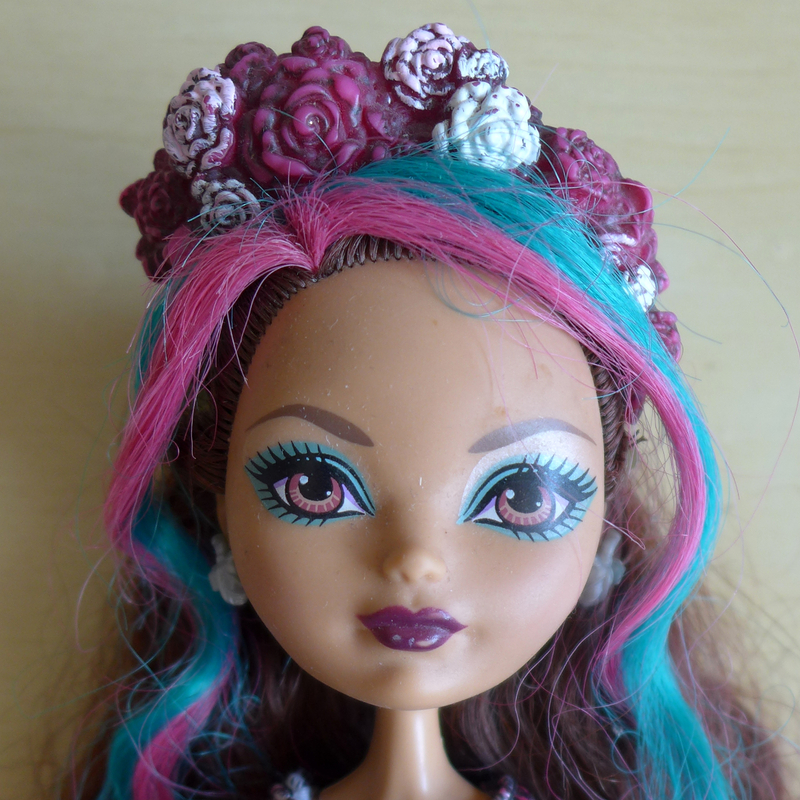 When her hair was still a little damp, I started re-creating the curls using drinking straws and hairpins. I used straws which are wider than typical ones. I took small strands of hair, brushed them and twisted each tightly around the straw in a fairly thin layer, securing both ends with hairpins. The ends were still a little curly and scruffy and wouldn’t lay as flat as the remaining length. I think I should have trimmed the ends. I had about 70 hairpins and I thought I was well-prepared, but I ran out and had to start using string. I would not advise using those cheap little rubber bands, many will break from the hot water used in the next step (and with them your heart over the lost time and effort). After the straw curlers were all on and secured I dipped the hair in hot water again for about 20 seconds. This is supposed to make the curls permanent (more or less). I left the hair undisturbed for three days to dry and to set. One would have supposedly been OK, but I wasn’t in a hurry and I figured it can’t hurt to wait longer. When I was taking the straws off it turned out that the hairpins had rusted. They left a rusty residue on the hair, but when I wiped it off there were no stains. This is probably in part due to Merida’s already rusty hair colour. 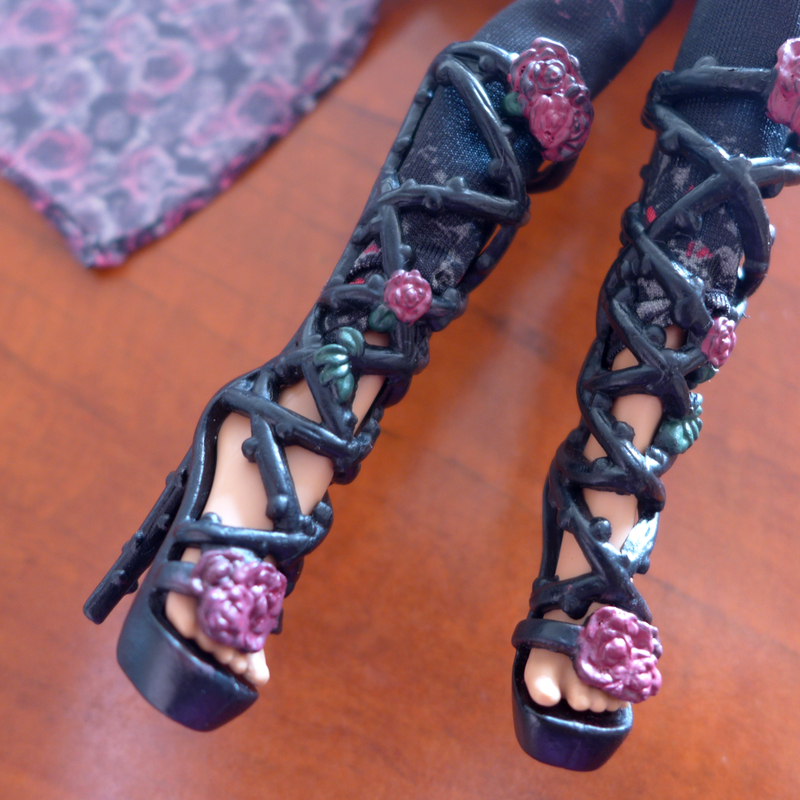 Rust marks from hairpins could be a problem on lighter-haired dolls, though. Definitely curly, but still not quite Merida style. I took each lock of hair and separated into two or three strands. It wasn’t was as easy as I expected. Even though I had brushed carefully, there were interlocking hairs which didn’t let me separate the strands. At this point it’s too late to brush again – brushing would turn the hair into one big fluffy ball. In fact, from now on Merida’s hair care consists solely of making sure that no hairs get pulled out of their designated strands 🙂 Brushes, hook and loop fasteners and children are the greatest threats.